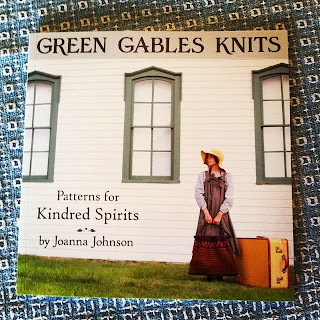 Slate Falls Press: Green Gables Knits is here! Green Gables Knits is here! Green Gables Knits is here! 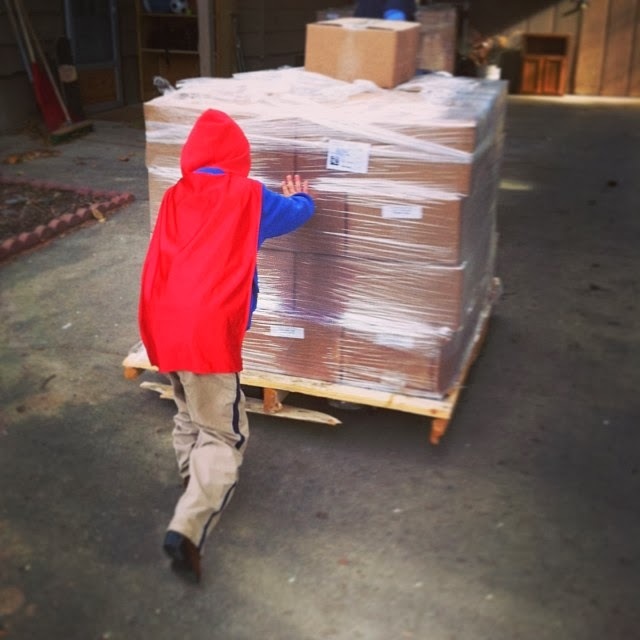 Two weeks ago, the delivery truck arrived with two pallets of our newest book, Green Gables Knits. 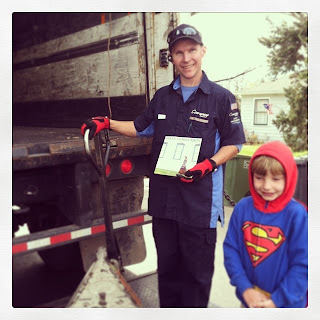 Our delivery driver was rather curious about what we do, and politely asked, "Are you a distributor of some kind?" I started explaining that we are a small publisher, and then decided to just ask him if he knew anyone who was a knitter. "Sure! My wife is a big time knitter!" he responded. So of course we gave him a book for her! We were fortunate to have a lot of help from our little superhero, who was eager to help push the books up the drive. 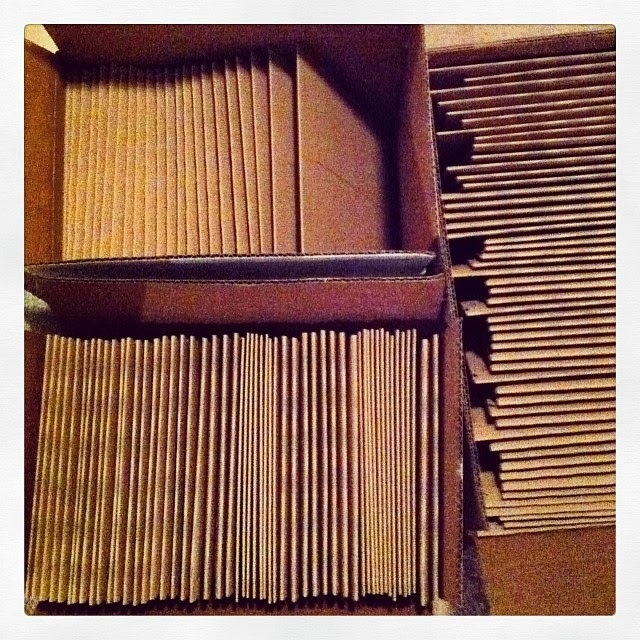 Boxes and boxes of orders flew out the door, including pre-orders from yarn shops, Etsy readers, and our shop distributors. 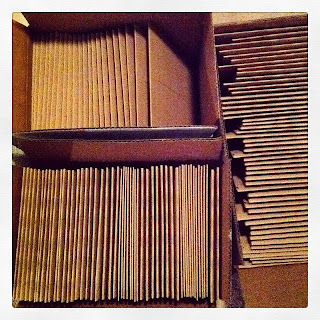 We shipped an entire pallet to Amazon, so their warehouse is stocked and ready to go! 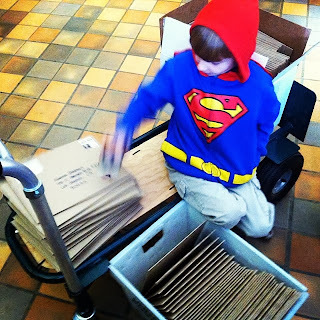 Superman had a great time stamping books at our old town post office, he saved us a lot of time! We held a release party at our weekly knitting night, which was a wonderful time. 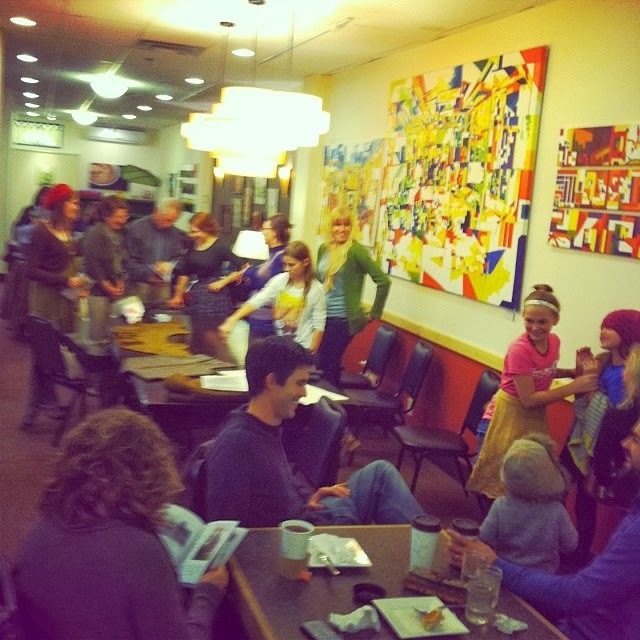 Knitters, sample knitters and test knitters, along with our models and wonderful photographer all came together to celebrate our new book at our favorite local coffee shop. It was a whirlwind evening and so much fun to share the finished book with the people who were a part of it all along the way. It was a night to remember. 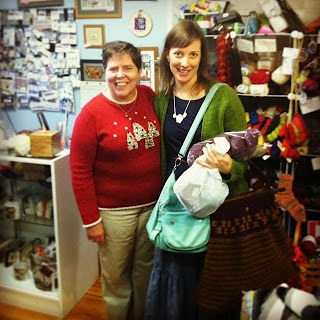 We wrapped up our exciting launch with my first book signing for Green Gables Knits at Ewe Count in Cheyenne, Wyoming. 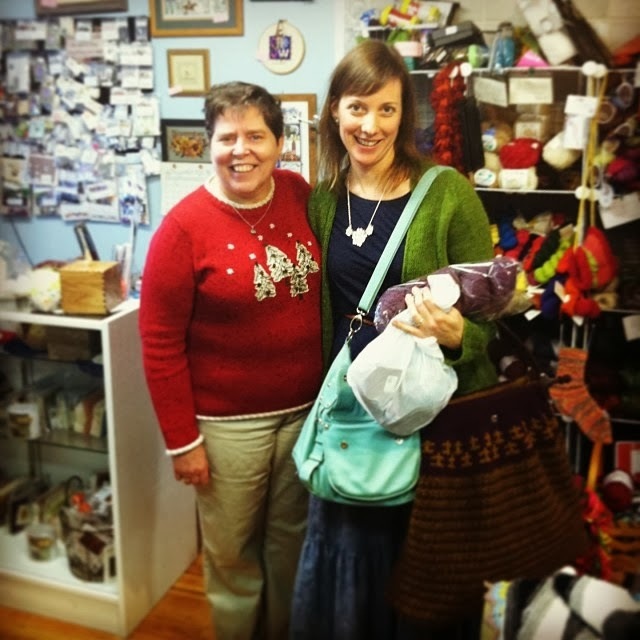 I always love to visit Penny's shop and I loved spending Small Business Saturday with her, especially as it was her anniversary sale! 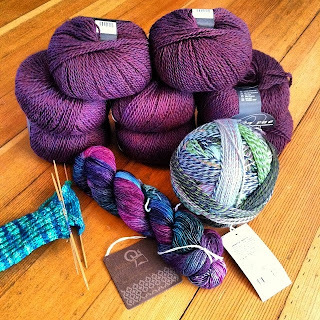 I picked up a skein of Zauberball starke 6, which is a gorgeous sport weight sock yarn (socks for me! ), a skein of Araucania Nuble (a Diana's Hat for a Christmas gift?) and a sweater's worth of Ella Rae classic sport, for an Anne's Sweater for our daughter. I have been feeling a little uninspired about knitting for the past few weeks (maybe a little post-book burnout?) but after a visit to Penny's, my needles are flying! And now? Now I am going to sit for a minute. Look. Here it is, and yes, this really happened. To all of our family, friends, readers, to everyone who loved this idea, too-- thank you for your enthusiasm and encouragement!